Will this wiring work or is there a better way? The switches are Cisco Small Business 100 Series SG100D-08P-NA Smart 8-Port PoE Desktop Gigabit Switches. 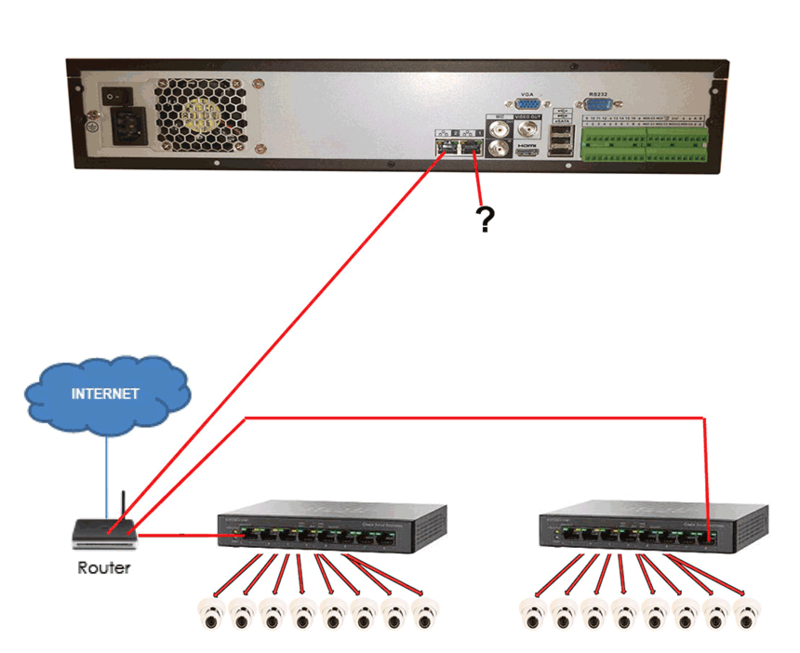 The NVR itself cannot do any routing you will need a Router. Here is an Example . 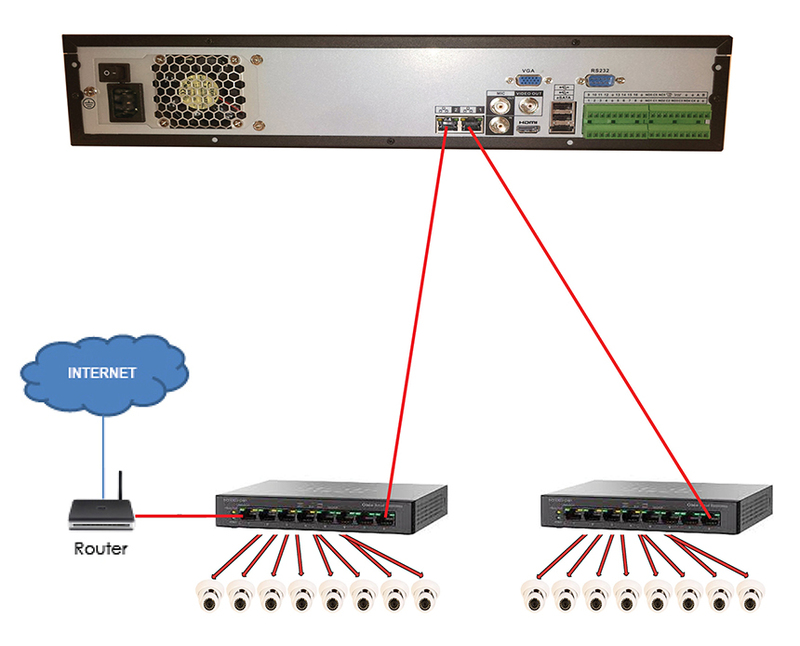 It is best to add the NVR to the router as opposed to the PoE switches. How do I use both jacks on the nvr send them both to the same router? 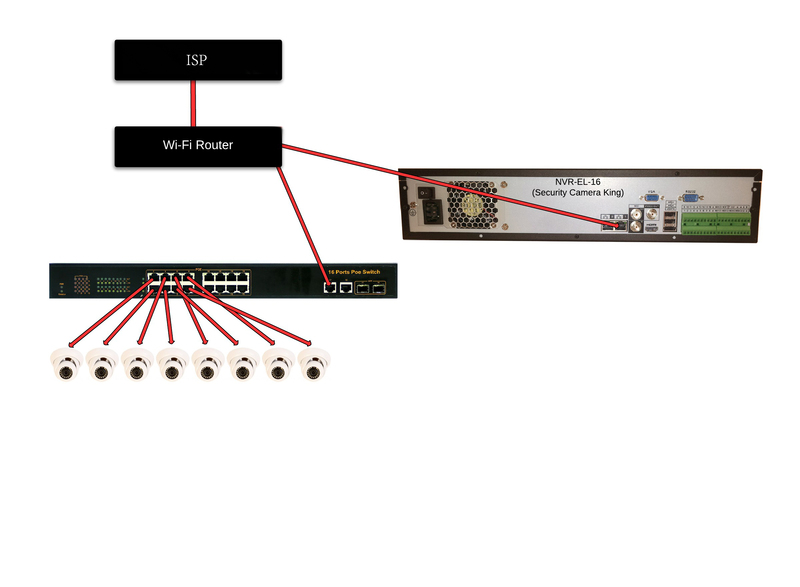 Do I wire the Switches in series or both to the Router? You only require one Link to the Router from the NVR. Switches to the Router as well as the NVR. In total you will need 3 open ports. So like this? And what do I do with the extra input on the NVR? What about the extra network jack on the NVR? What can I do with it? Will I get more bandwidth if I plunged it in to the same router as the first jack or only if I has a second ISP connection? the second NIC card is if you want to configure fault tolerance but it requires a managed switch. You could use Link Aggregation but is not necessary. You could also use the NIC#2 as the default but it needs to be set in the network settings.